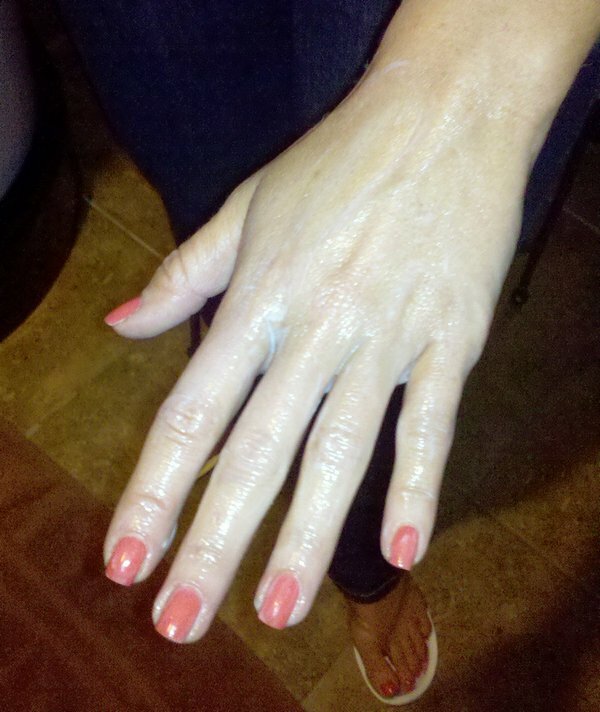 A few days ago, my cousin who runs http://fitceleb.com told me she got an invite to try out Mystic Tanning. I BEGGED her to let me come with her in exchange for a write up. She pulled a few strings and here we all are – several shades darker. I have NEVER done this type of tanning before. I told you a few weeks ago I got into the Jergens Daily Moisturizer and was happy with the results. Well, Mystic Tanning takes it up 100 notches. I went on a Friday afternoon and by Saturday I was sun kissed and glowing. I had a party to go to that night and everyone was complimenting me on my color (except for one guy who always teases me… DAVE). Bottom line, it was a success. Exfoliate before you come – hard. You want to be as smooth as possible. Go wearing no make up, moisturizer or facial lotion. You are going to have to wipe it off anyway. Wear loose clothing. The solution comes on clear and is supposed to not stain – but better be safe than sorry. 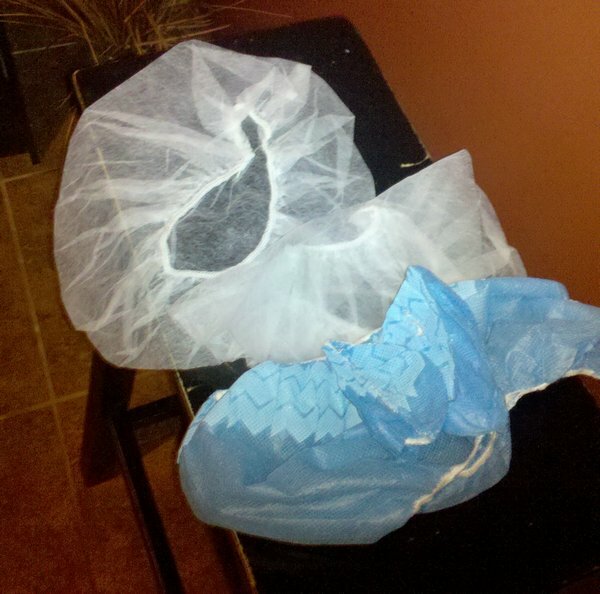 You are giving baby wipes to clean off your skin, a hair net and booties. Once you are wiped down, there is cream you place on your hands and feet to make sure they don’t get over-exposed to the spray. Someone will show you exactly how much you need to use. When you go into the booth, it will verbally instruct you through every step. Once you actually get in and close the door, it’s SUPER EASY. You listen to the instructions and move around. Close your eyes and don’t breathe when the spray is around your face. It goes up and down your body in slow motion. There will only be a few seconds where you really shouldn’t breathe. In between sprays, the booth dries you. At the end of the entire session you won’t have to towel off or worry about liquid getting on your clothes. It really was easy as pie. You can’t shower for 6 hours. And don’t expect a tan to show up immediately. I kept THINKING I saw something … and then I went to sleep. When I woke up I looked like I just got back from a vacation. I couldn’t believe it! Don’t exfoliate in the shower until the day before you want to go tanning again. The less you scrub, the more the color will stay on. I even made a video to enter their ‘Mystic Tanning YouTube‘ competition. You can hear the booth talking to me in it in case you were curious. Excuse the level of energy – I felt like I needed to be super-animated. In case you want to see my results, click here to see pics of me the very next day. 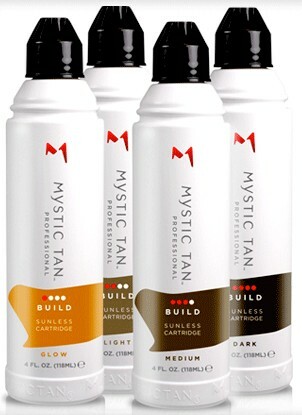 Have you ever tried Mystic Tanning? If so, let me know your thoughts below. My daughter and I did this and I hated it. 🙁 Mine looked like total crap. Hers wasn’t quite as bad, but I wouldn’t do it again. I’m glad yours went well, though! 🙂 I would love to have a little bit of color – I’m like a pasty vampire all the time. I keep trying to get my mom and sister to stop tanning in tanning beds and try something like the mystic tan instead (even though I didn’t like it). You can always try VersaSpa. It offers three levels of world-renowned bronzing formulas, plus a moisturizer that extends the life of your tan. You can use it in addition to tanning for your most dramatic color, or use it alone.